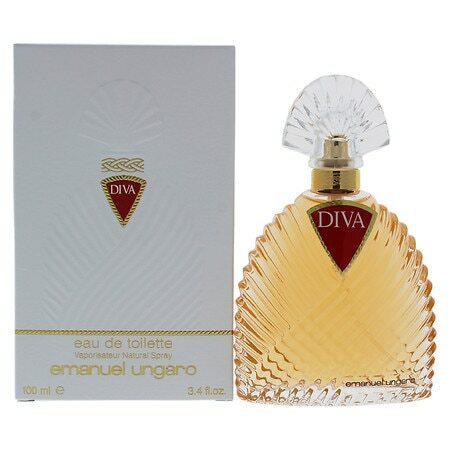 Featuring a romantic blend of floral overtones with forest notes, Diva was introduced in 1983 by Ungaro. This light women's fragrance combines the woodsy scents of oakmoss, sandalwood, and patchouli with fragrant hints of rose, narcissus, jasmine, and iris and adds a sense of passion and romance to any intimate gathering or dinner date. As you move through a room, its bouquet lingers without being overpowering. Spray Diva conservatively over your wrists and neck for a wonderful scent that will last all evening.